I have written for a variety of outlets and publications for over 20 years. Passionately interested in cars as well as other general motoring topics, I have specialist knowledge of both electric and hybrid vehicles and was acting editor of trade title GreenFleet magazine from 2015-2016. Also a fan of classic and retro cars and the Volkswagen marque, I have also written pieces for both a variety of print and online media. These include individual model and personality profiles, reflective and historical articles, as well as road tests of current, classic and commercial vehicles. In April 2016 my first book was published by the Crowood Press. Chronicling Porsche’s first mid-engined production sports car, Porsche 914: An Enthusiast’s Guide, tells the story of the joint Volkswagen-Porsche project, from its difficult birth to its recent acceptance as a bona-fide classic. A keen interest in technology has also seen my work featured in consumer UK newsstand titles Mac User and Web User. I am also a sub-editor with excellent proof-reading skills and a writer who can create copy around a specialist subject and to a selected tone of voice. 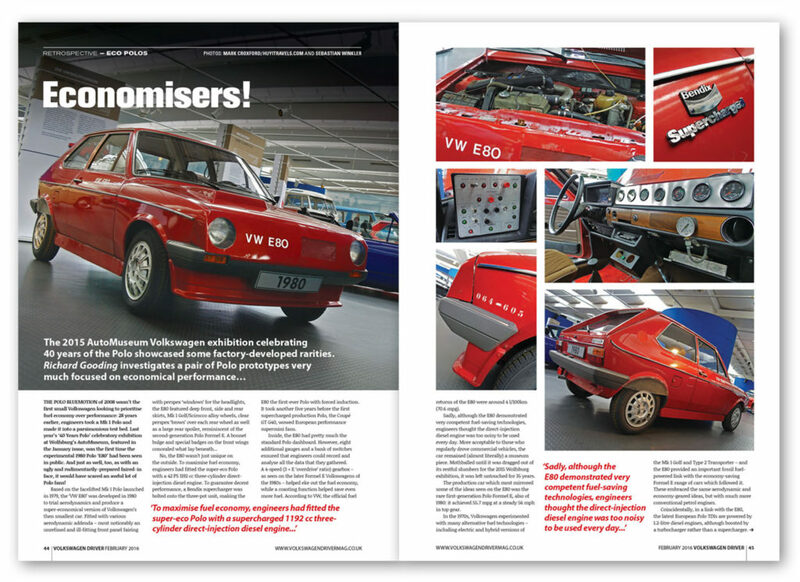 I also currently write and compile content for PoloDriver.com, a self-published online resource for the Volkswagen Polo. Click on the graphic below to see an issue of the mini-magazine or click here for the PoloDriver.com digital bookshelf. A copy of my written work portfolio is available on request.